Between Jurassic World, Furious 7, Minions, Fifty Shades Of Grey, and Pitch Perfect 2, Universal Studios has made a killing at the box office this year. Back in June, Furious 7 became the third highest-grossing film of all time, only to be nudged out shortly after by Jurassic World, because dinosaurs beat cars, apparently. But even though it might not hold that third-place spot anymore, Furious 7, which comes out on DVD on September 15, was Universal’s darling this year. (The film made $1 billion faster than any movie in history, after all.) And Universal, always looking to make more, found ways to keep the Furious 7 money racing in, opening a Fast & Furious-themed attraction at Hollywood’s Universal Studios earlier this summer called Fast & Furious: Supercharged. And even that wasn’t enough: Like Dom Toretto swearing this is the last ride when we know very well there will be more rides to come, Fast & Furious: Supercharged will be born again—this time at the Universal Studios Orlando Resort…in 2017, just in time for Furious 8. According to Universal, on Fast & Furious: Supercharged, guests will feel like they’re part of the Fast family. 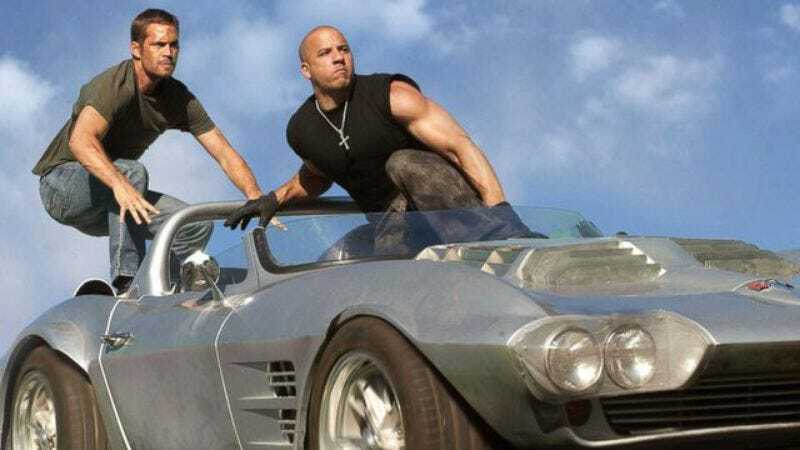 Vin Diesel, Dwayne Johnson, Michelle Rodriguez, and Tyrese Gibson have all lended their voices to the ride, which combines an original storyline and technology to make you feel as close as possible to some real-deal F&F action. The official opening date for Fast & Furious: Supercharged has not been announced yet, but the Orlando resort has to close down two other attractions to make room for it. So say farewell to the Beetlejuice Graveyard Revue as well as Disaster: A Major Motion Picture Starring You!, which sounds a lot scarier than anything to do with Beetlejuice. Disaster closes on September 8, and Beetlejuice will close later in 2015.